Starting with a better mechanical chassis, using chokes and tube rectification (in most units) and great output transformers they appear to be significantly superior to the Siemens 2000 amps. 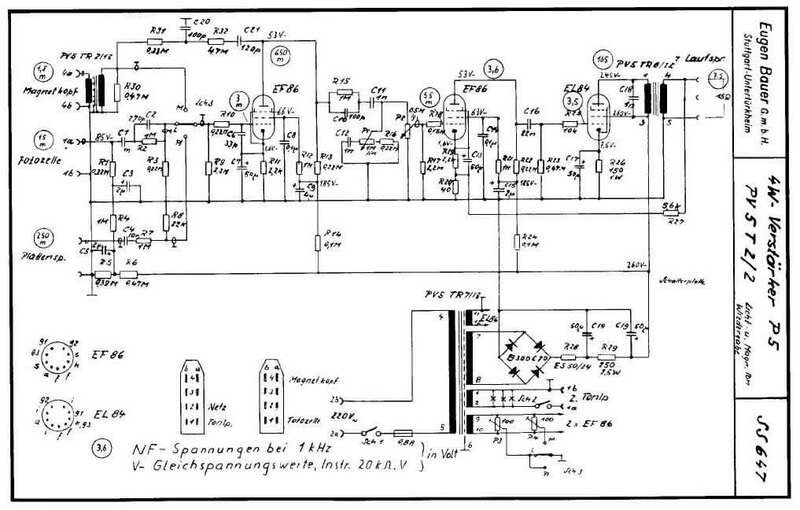 All listed amps use push pull EL84 output stages (except where otherwise noted). 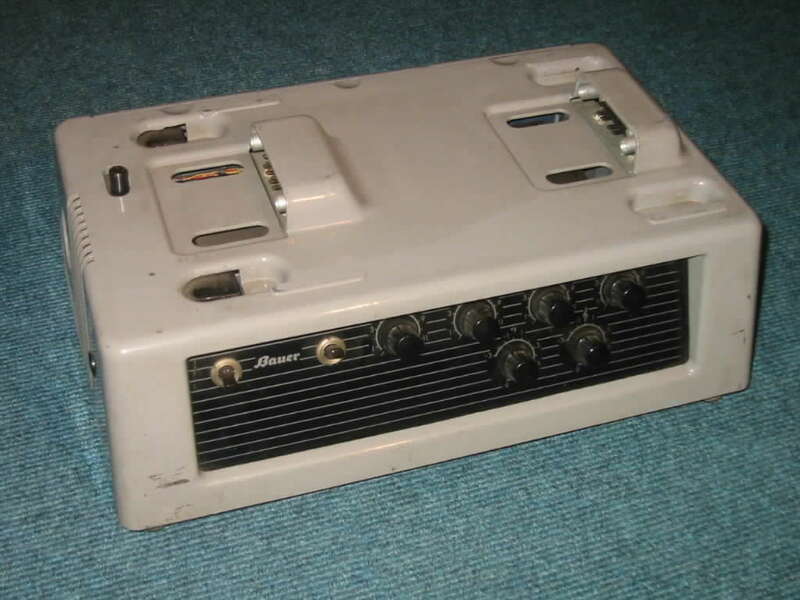 Very early (1952) stand alone version for the Pantason projectors (also for the "Selecton"). Very, very heavy (weighs more than 20kg) it is carrying a push pull output stage with 2 EL12/375 tubes. 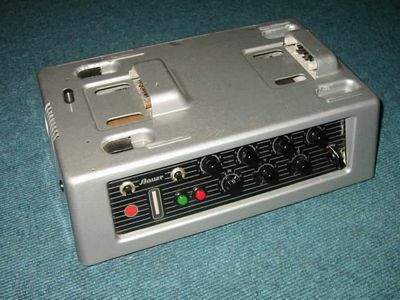 This amp was made by Siemens as Klangfilm KL-L 304 and used and branded by Bauer. 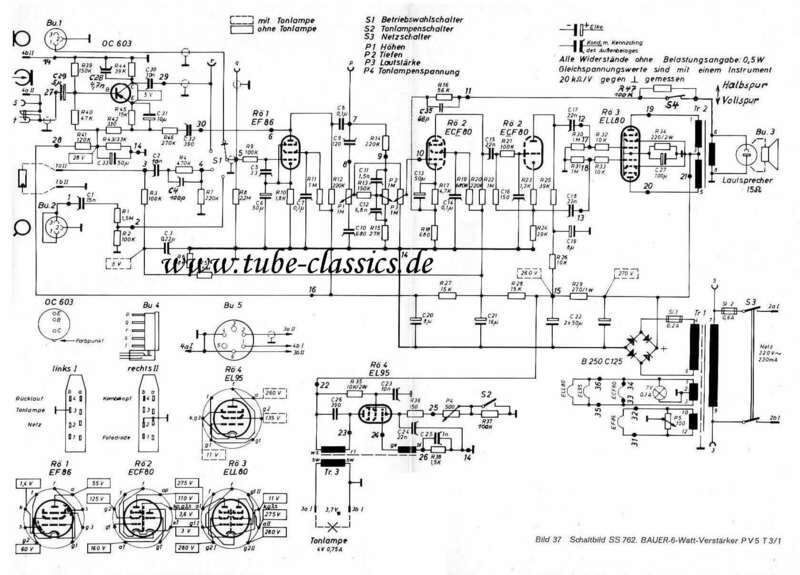 Nice design with 4 EF40 input and driver tubes and EL41 output tubes in push pull mode. Great stand alone version for different projectors (also for the "Selecton"). Outstanding Sennheiser / Labor W input transformers TB 421 found in some units. 10 watts into 4 or 8 Ohms speakers. Pretty rare and very nice looking amp. 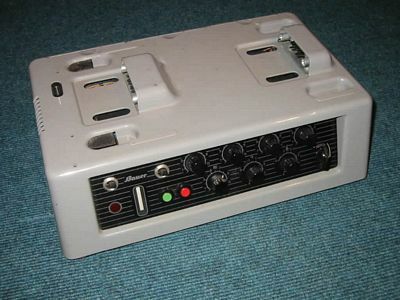 Great EL84 mono amp. 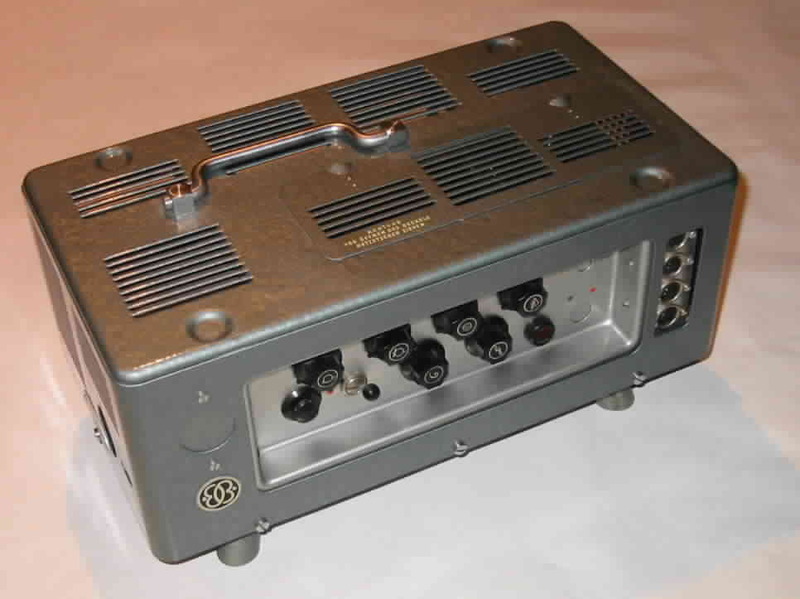 One of the best German EL84 amps ever made. BIG power transformer. L1/2 version for light sound only (one EF86 less). Special version of the above amp with an additional EL84 tube as high frequency oscillator tube for magnetic sound recordings and EM84 indicator tube. 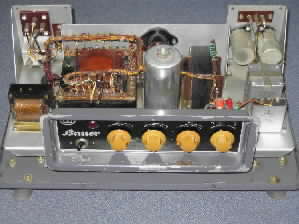 Later version of the above amp with an additional EL95 as oscillator tube for the tone lamp and using printed circuit boards. L1/3 version for light sound only (one EF86 less). Special version of the above amp with an additional EL95 tube as high frequency oscillator tube for magnetic sound recordings and EM84 indicator tube. 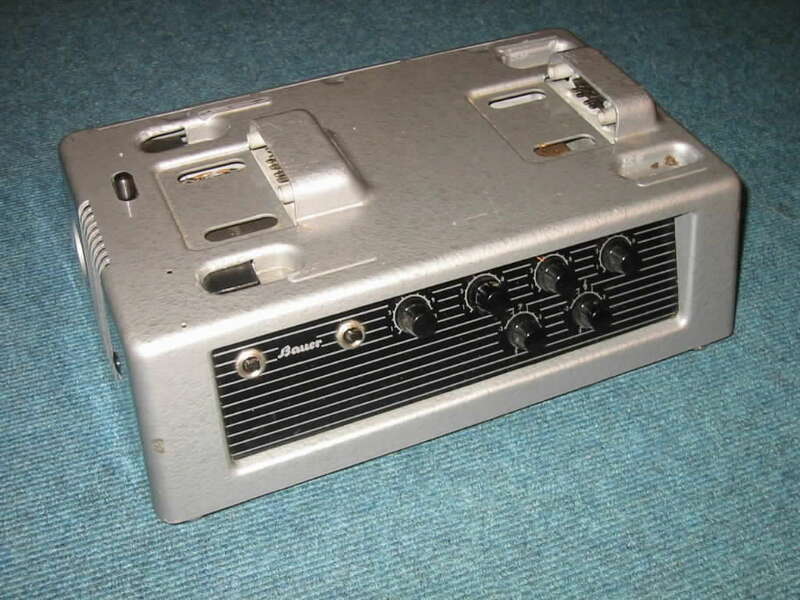 Smaller amp with single ended EL84 output stage. Never got a pair, so no comments on performance. L2/2 version for light sound only. 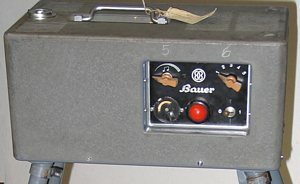 Smaller (rated at 6 watts) light sound amp with push-pull ELL80 output stage and EL95 as oscillator tube for the tone lamp. 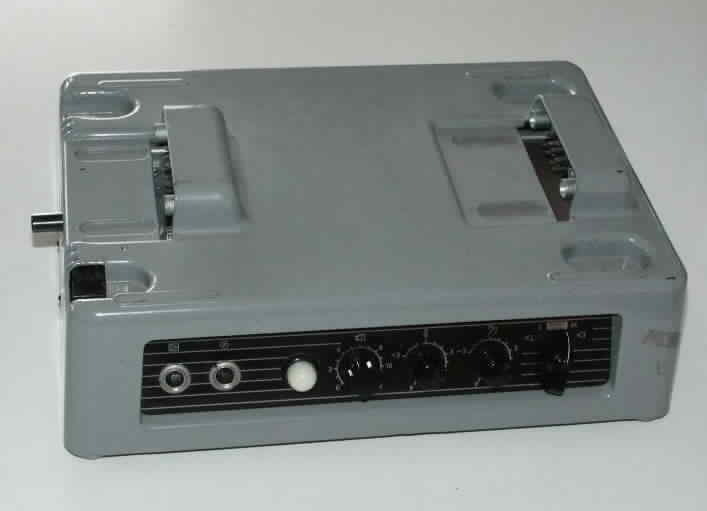 T3/1 version with transistorized (OC603) input for magnetic sound. Very nice amps with ultralinear OPT (but wired as tetrode) with 8 and 16 Ohms output taps. Clck here for T3/1 circuit.